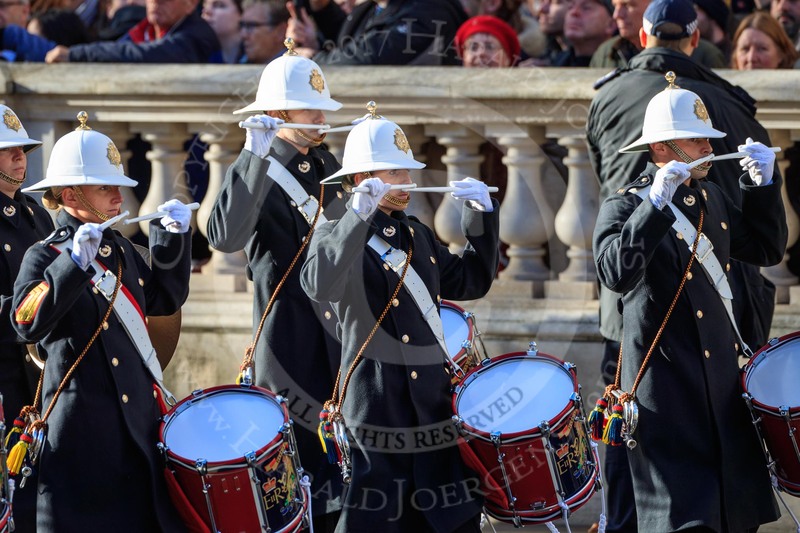 On 11 November 1918, guns fell silent on the Western Front for the first time in four years. At home, this news was greeted with relief and joy, resulting in the spontaneous ringing of church bells which had been silent throughout the four year conflict. 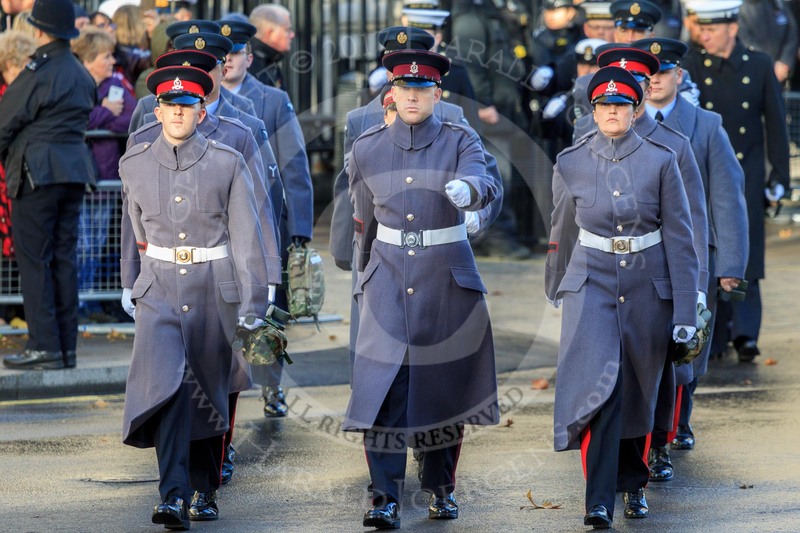 More than 700,000 British soldiers died in the First World War and the events of 11 November will remember and give thanks for their sacrifice. 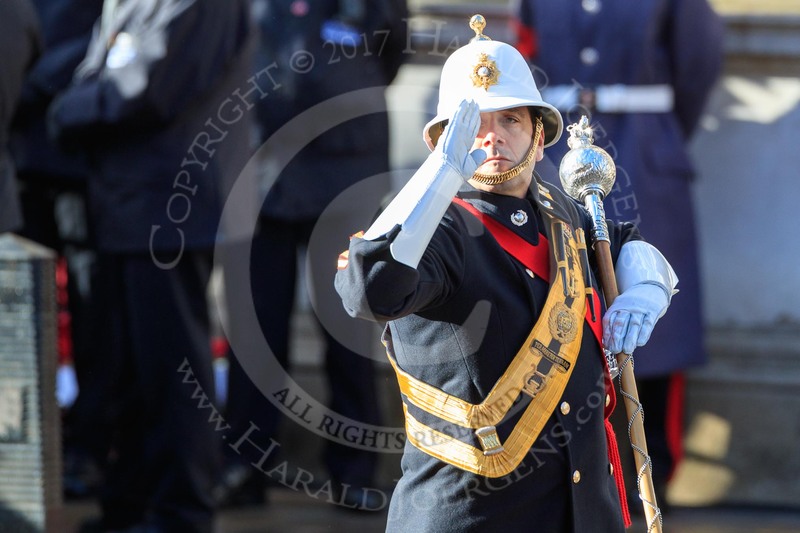 The day will begin with the National Service of Remembrance at the Cenotaph which will remain unchanged and remember those who have died from all conflicts since the First World War. 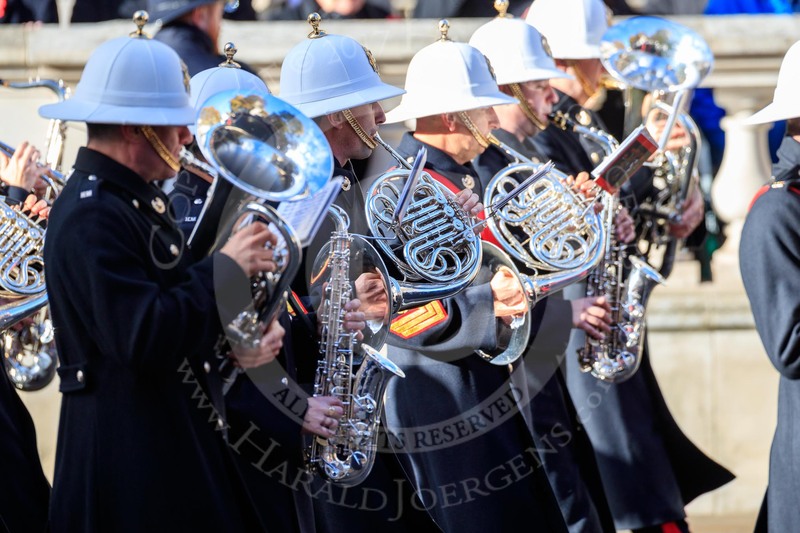 The customary Two Minutes' Silence will be observed from 11.00 am. 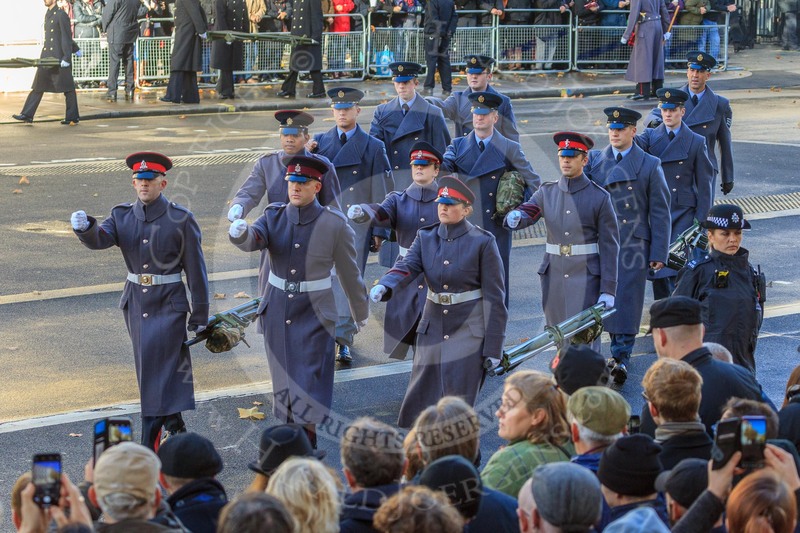 You might also be interested in the March Past, and the Cenotaph Ceremony 2016, 2015, 2014, 2013 and 2012. Next to each photo is a small, blue shopping cart icon. Please click on that icon. Just follow the instructions, and click on "Add to Cart"
Now you can review your order, and make changes, if required. When your order is complete, click "Checkout with PayPal"
You don't need a PayPal account to order, you can pay with any debit- or credit card on the PayPal site! Instructions are on the "Checkout" page. Should you run into any sort of problem, please don't hesitate to contact me directly via the Contact page! 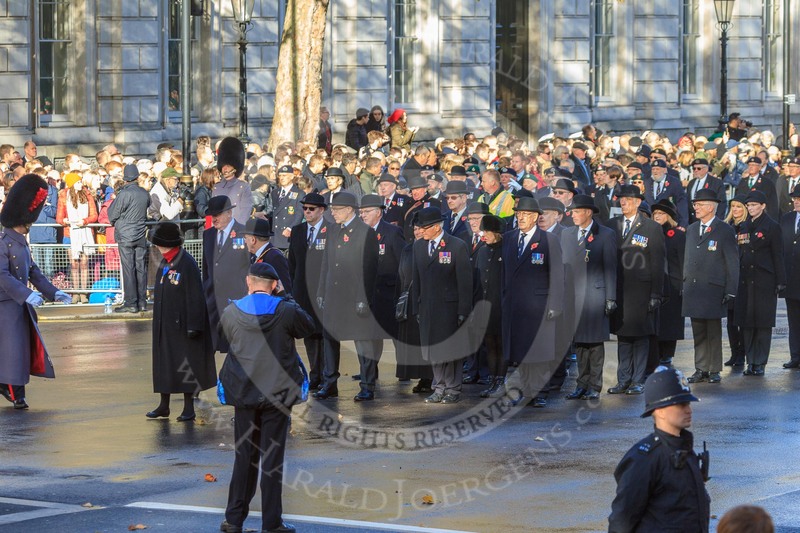 The first column of veterans is marching from Horse Guards Parade onto Whitehall before the Remembrance Sunday Cenotaph Ceremony 2018 at Horse Guards Parade, Westminster, London, 11 November 2018, 10:08. 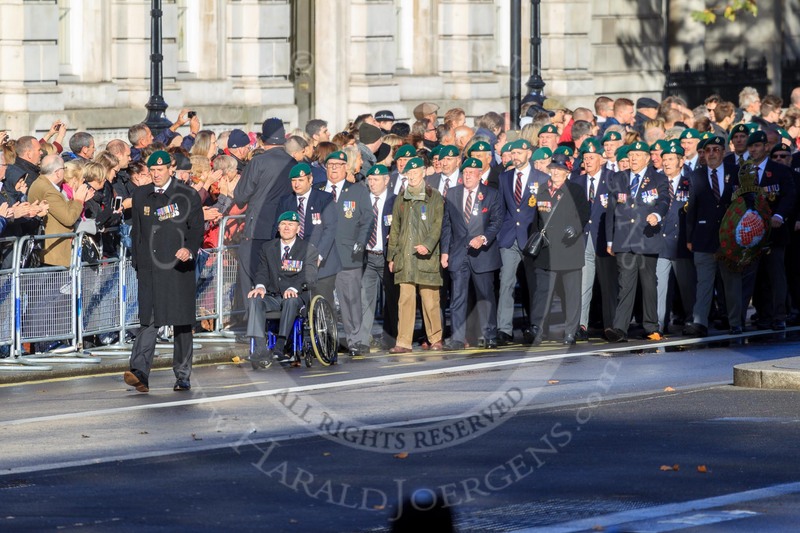 The group of RBL official has arrived at their position in the centre of Whitehall before the Remembrance Sunday Cenotaph Ceremony 2018 at Horse Guards Parade, Westminster, London, 11 November 2018, 10:08. 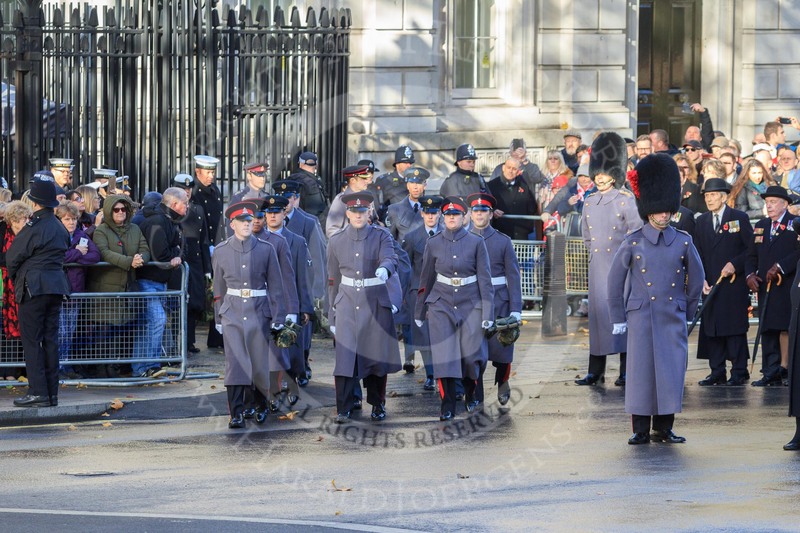 The group of stretcher bearers is leaving Downing Street to take their positions on Whitehall before the Remembrance Sunday Cenotaph Ceremony 2018 at Horse Guards Parade, Westminster, London, 11 November 2018, 10:08. 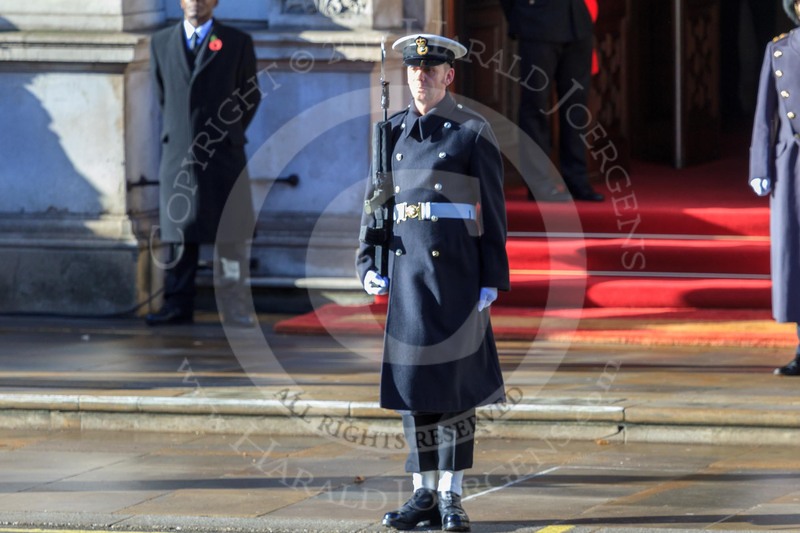 The Royal Navy "marker" is in position for his service detachment to find their place on Whitehall before the Remembrance Sunday Cenotaph Ceremony 2018 at Horse Guards Parade, Westminster, London, 11 November 2018, 10:10. 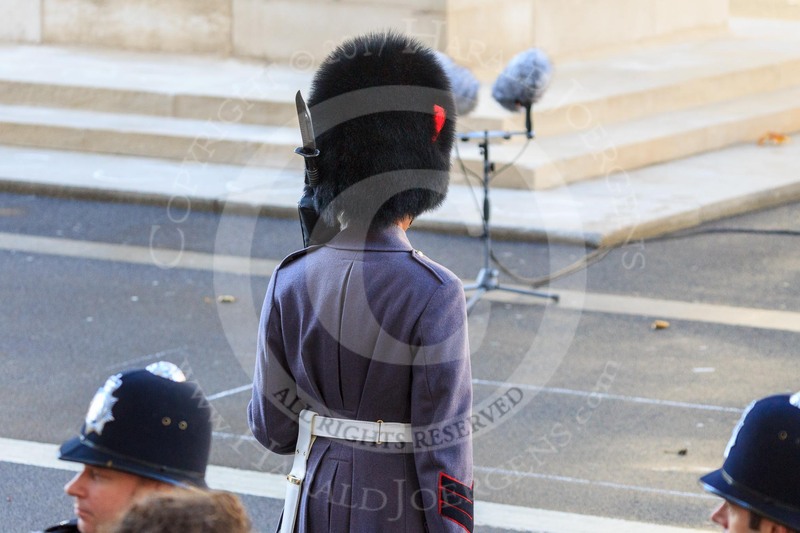 An army "marker" is in position for his service detachment to find their place on Whitehall before the Remembrance Sunday Cenotaph Ceremony 2018 at Horse Guards Parade, Westminster, London, 11 November 2018, 10:10. 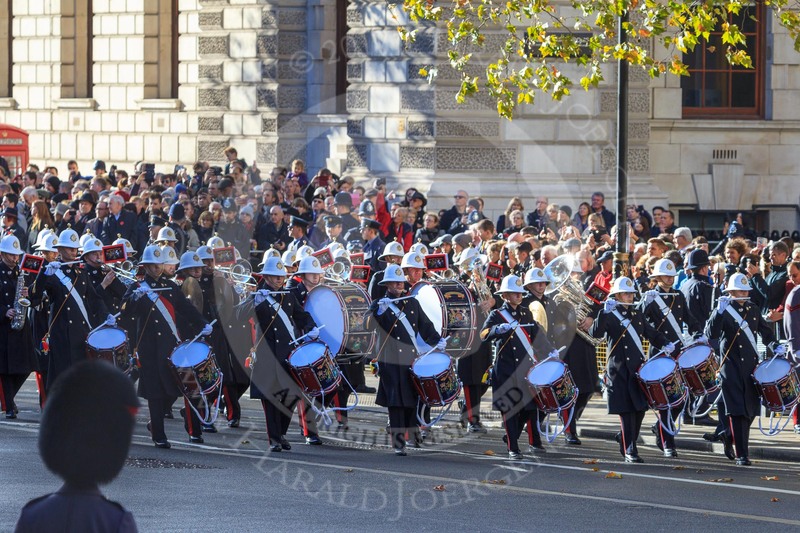 The Band of the Royal Marines arrives on Whitehall before the Remembrance Sunday Cenotaph Ceremony 2018 at Horse Guards Parade, Westminster, London, 11 November 2018, 10:17. 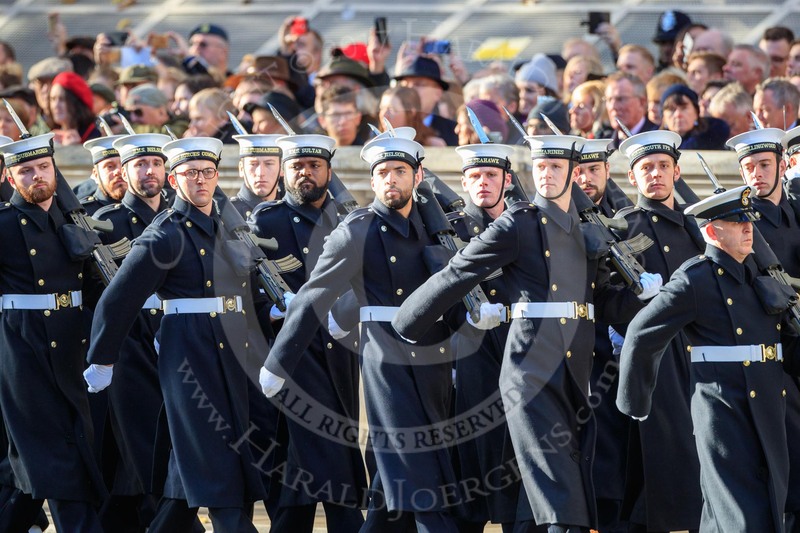 The Band of the Royal Marines drum major salutes the Cenotaph during Remembrance Sunday Cenotaph Ceremony 2018 at Horse Guards Parade, Westminster, London, 11 November 2018, 10:18. 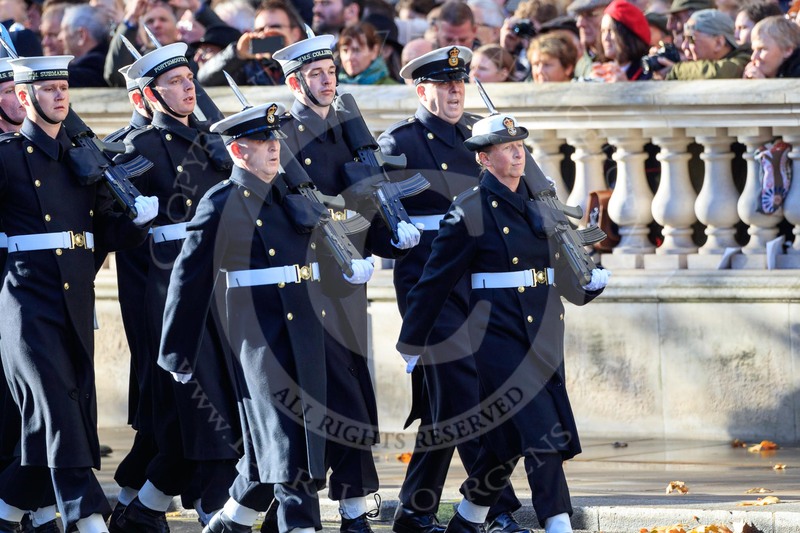 The Service detachment from the Royal Navy arrives on Whitehall before the Remembrance Sunday Cenotaph Ceremony 2018 at Horse Guards Parade, Westminster, London, 11 November 2018, 10:18. 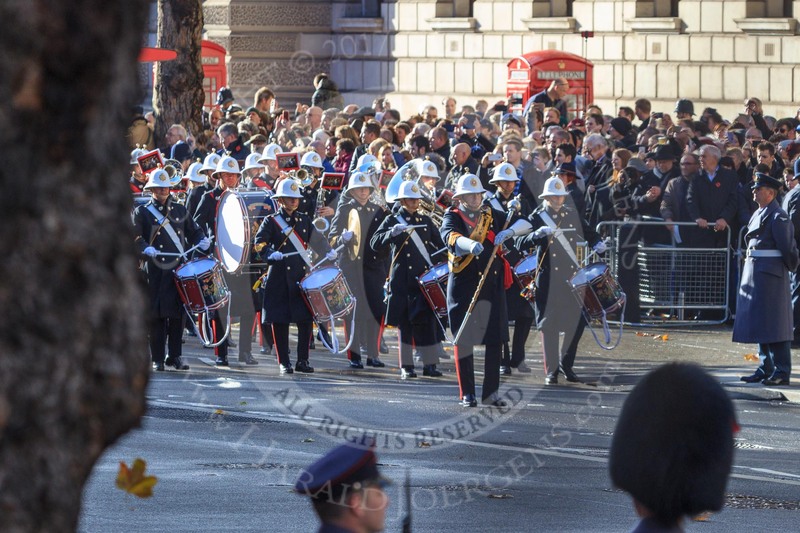 Musicians of the Band of the Royal Marines on Whitehall before the Remembrance Sunday Cenotaph Ceremony 2018 at Horse Guards Parade, Westminster, London, 11 November 2018, 10:18. 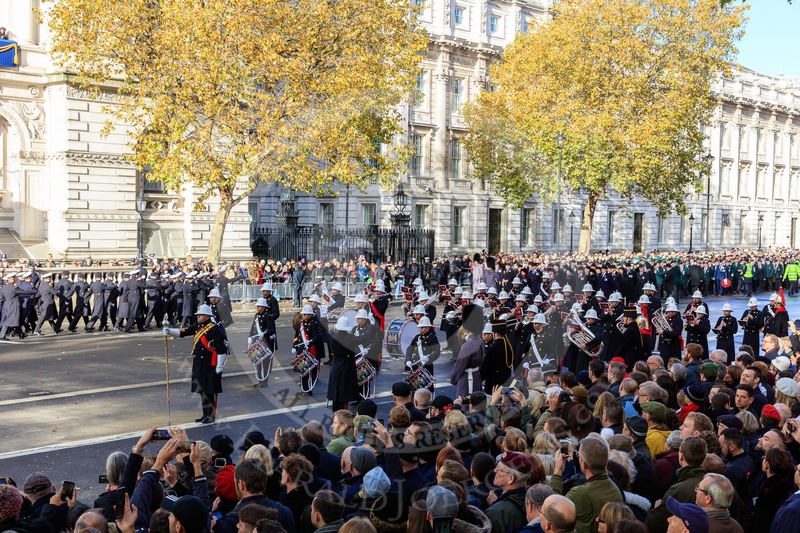 The Band of the Royal Marines has reached their initial position on Whitehall before the Remembrance Sunday Cenotaph Ceremony 2018 at Horse Guards Parade, Westminster, London, 11 November 2018, 10:20.